That is one word I have heard many Moms say…with a frown…that they don’t enjoy teaching. After we have fun with science/experiments or other activities, we all pile in our cars and drive to a local park for lunch. Last week, I received a package from EasyLunchBoxes.com. Have you heard of them? They are GREAT! They are BPA, PVC, phthalates, lead and vinyl free. Their sturdy design (they are not flimsy at all) makes them extremely dishwasher safe…they have not warped and clean very easily!!! Placed the kid’s in the cooler, with mine on top (cooler holds containers)….and then, into the fridge. And, at lunch time, I spread out our blanket, the kids grabbed their own lunch and we had a relaxing afternoon (oh, did I mention….a stress-free morning). The bread….was still yummy, not stale and everything was wonderful! 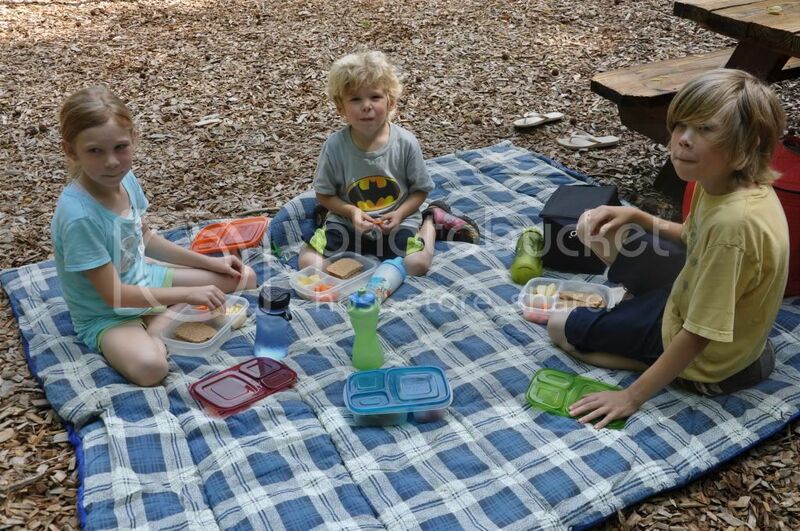 *Disclaimer….I was give a free set of Easy Lunch Boxes, with a cooler for my honest opinion. I received no other compennsation for this review. Ohhh! These look awesome! I have the same problem and these would be a great addition to our lunch picnics!! I follow Easy Lunchboxes on FB Thanks for offering this great giveaway! I follow and "like" you on FB. And I liked EasyLunchBoxes on FB. Thanks for hosting this! Love these! I love how they fit so nicely into the cooler as well! I follow you! I now follow easylunchboxes on twitter! I "like" easylunchboxes on FB! Woohoo! At the risk of repeating others….this looks awesome! (it really does). yay! Love Easy Lunch Boxes! I've been looking for something like this! Love them! I followed Easylunch on FB! I followed Mom's Mustard Seed on FB. I really look forward to reading what you post. You sound a lot like me! these would be great for field trips – thanks for offering the giveaway! Ohhh I'd love to win this! I've heard they are amazing! Those would be nice to have on hand! These would be perfect for our Co-op Fridays and Park days! Very fun! A great way to prepare for the day. Organization makes everything run smoother! I've seen these and they look PERFECT for our many picnics! These do look perfect for lunches at the park! I follow Easy Lunchboxes on Twitter. I "Like" Easy Lunchboxes on Facebook. very cool! perfect for lunches thanks for sharing. Yes please! Would totally love these! I love the idea of compartmentalized lunchboxes to keep foods separate and reduce the number of plastic baggies and bulky, different-sized containers we use. It is great that they all stack neatly and are ready to go. Thanks for the giveaway! I like Easy on FB! These look so awesome. Thanks! I liked Easy Luchboxes on Facebook. I could really use this set! I would ABSOLUTELY LOVE to win! Please enter us in this giveaway. I would love to own these lunchboxes. Thanks for the chance to win! These look great, not too many compartments. These look amazing! I Would love to try these out. I too worry about the chemicals. I follow Momsmustardseed on twitter! I like mom's mustard seeds on FB! i'd love to win these for my soon-to-be kindergartener. i "liked" easylunchboxes on fb. I have been eyeing these for some time, I really hope I win! I also liked ELB on FB. And I "liked" MMS on FB! Hi! What a great gift! We love to picnic so these would be perfect! Email is Lara@SigningwithLara.com. I also followed you and Easy Lunch on Twitter (@signingwithLara) and FB (Lara Molettiere). What a great giveaway! Thanks for entering me! 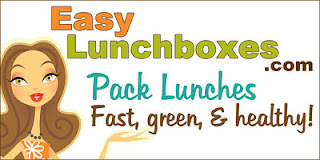 I Follow EasyLunchBoxes.com on Twitter (@savingmama42). Thanks for entering me! I "Like" EasyLunchBoxes.com on Facebook (Stacie Dennis Frost). Thanks for entering me! These look so wonderful. What a great giveaway! My email address is cpresz at gmail dot com. I also followed Easy Lunch Boxes on Twitter. I'm also a Mom's Mustard Seeds Facebook follower! And I also follow Mom's Mustard Seeds on Twitter (which is how I found out about the contest). I'm so late getting in on this! Oh well, I'll give it a try anyway! Thanks for hosting this. thechapswife at aol dot com. I'm already a follower on Twitter! Following Mom's Mustard Seeds via Google Friend Connect. Also subscribed to RSS Feed AND Email. So glad to hear of wonderful, safe products to use for our everyday use! Thanks for sharing and God Bless!